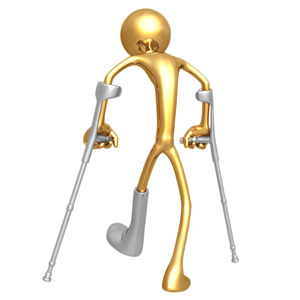 If you found you couldn’t work for a long period of time because of illness or an accident, how would you manage? Think about it. You really need to have some form of income protection so that you can at least cover your bills. Reading this your immediate reaction might be that you don’t need income protection. Perhaps you feel you can rely on your employer or you already have something written into your contract to protect you. You may feel you can rely on your partner or family or even your savings. Is this realistic though over the long term? How will you continue to meet your mortgage payments, pay your energy bills and even cover your day to day living expenses, including basic things such as food costs? An option to consider is income protection insurance. This can cover up to 80% of your pre-illness income and normally begins to pay out after 6 months off work. It continues to pay out until you are either able to return to work, or you reach a fixed age or you die. It also ensures that regular pension contributions continue to be made during the time you’re off work which can really help with your longer term financial security. It’s underwritten when you take out the policy, rather than when you put in a claim, which means you’ll know exactly what you’re covered for from day one. You’ll also be absolutely clear about any pre-existing conditions you’re not insured for. Statistics show that you are 3 times more likely to be off sick long term than you are to die during your working life. Despite this, far fewer people take out income protection insurance than take out life insurance. In fact more people buy pet insurance or mobile phone insurance than take out income protection. The insurance covers a wide range of different issues which could stop you from working, including mental illness and chronic conditions like cancer or heart disease. It does not usually cover you if you are made redundant and therefore if you want to cover yourself for this you’re likely to need to look at another type of cover. There are also usually other exclusions such as misuse of alcohol or drugs. It’s impossible to be precise here as the cover is based on your particular circumstances, including your age, occupation and general state of health. In other words how much risk you are to the insurance company. The higher the risk you are, the higher your premium will be. Guaranteed whereby the amount you pay stays the same throughout the policy term. It will only go up if you increase the cover. Reviewable policies are reviewed by the provider after a set period, usually every 5 years. Although premiums tend to start off cheaper than with guaranteed policies, at review the premium is likely to go up. Age-related policies start off cheaper than guaranteed and reviewable policies but they will go up each year as you get older. The price increase though will be agreed when you take out the policy so you can budget for the later higher premiums. How can you buy income protection insurance? Firstly many employers have group income protection which means they can pay your salary if you’re off long-term. You need to check with your employer to see if you’re covered as it doesn’t appear on your annual P11D statement of taxable benefits in kind. directly from an insurance company. If you want to buy directly from an insurance company, you should shop around to get the best deal, perhaps using a comparison website. Often you can only get a quote online as to finalise cover you’ll need to be assessed by the company for your suitability. If in any doubt, speak to an IFA to get their professional advice.